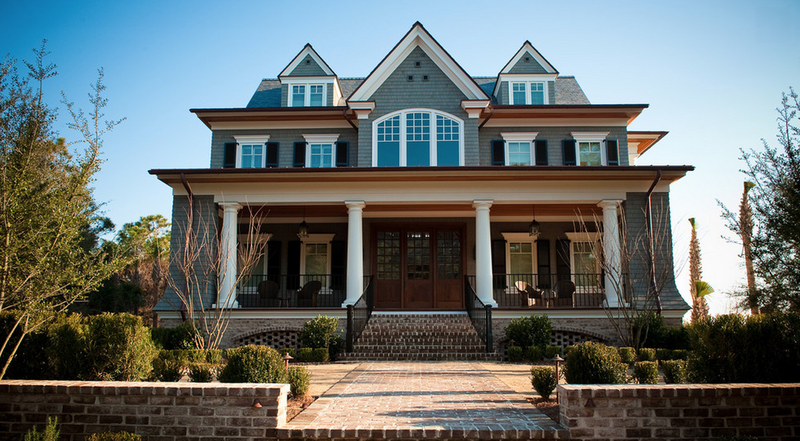 How Often Should You Paint Your Home’s Exterior? Aside from changing color trends, painting the exterior of your home is truly an issue of protecting your home from water damage. Water can cause wood to rot and metal to rust. Preventing these issues from occurring is well worth the investment in a new paint job. However, your exterior is composed of many different surfaces that have their own unique requirements. Wood windows should be repainted every 5 years. If cost is a factor, and you’re not changing the color, you can often get away with just repainting the sills. Generally speaking, if bare wood is showing or the paint is cracking, it should be re-caulked and re-coated. You can start with an oil-based primer for superior adhesion and top coat with a semi-gloss latex paint. Wood siding should be repainted every 8-10 years. Siding tends to show fading and wear well before deterioration becomes a maintenance issue. If your siding is in good shape and reasonably well-sealed, 2 coats of an acrylic paint or stain is more than sufficient. If there are cracks or blistering in the siding, sand down to bare wood, repair with wood filler, prime and then paint. Decks done in a solid stain should last 5 years. Transparent or semi-transparent stains typically last 1 – 3 years. When re-coating, first pressure wash the existing surface, sand down any rough or flaking spots and re-coat with a new top layer of stain. For stucco siding, stick to using a semi-elastomeric paint. It’s not crucial but it’s found to be more durable over the long run. A regular acrylic is sufficient, but typically won’t be as durable. Once painted, stucco should last as long if not longer than its wood counterparts.